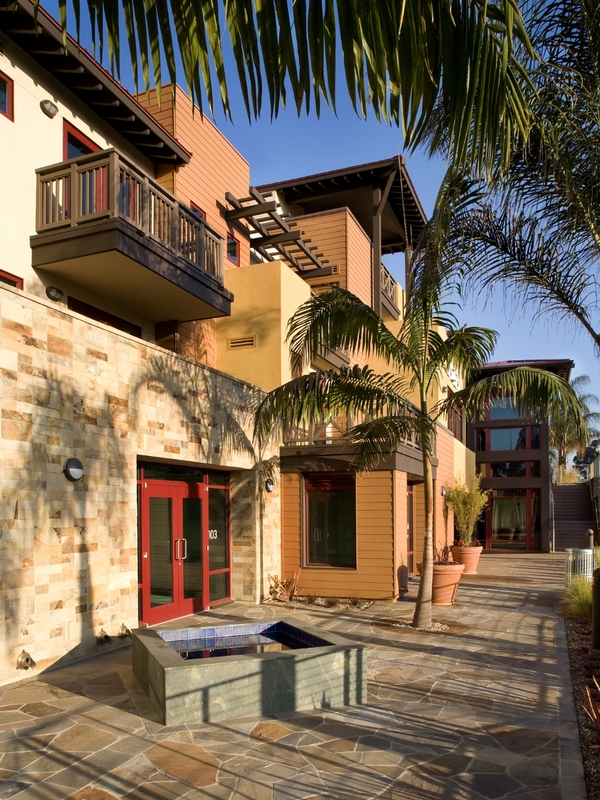 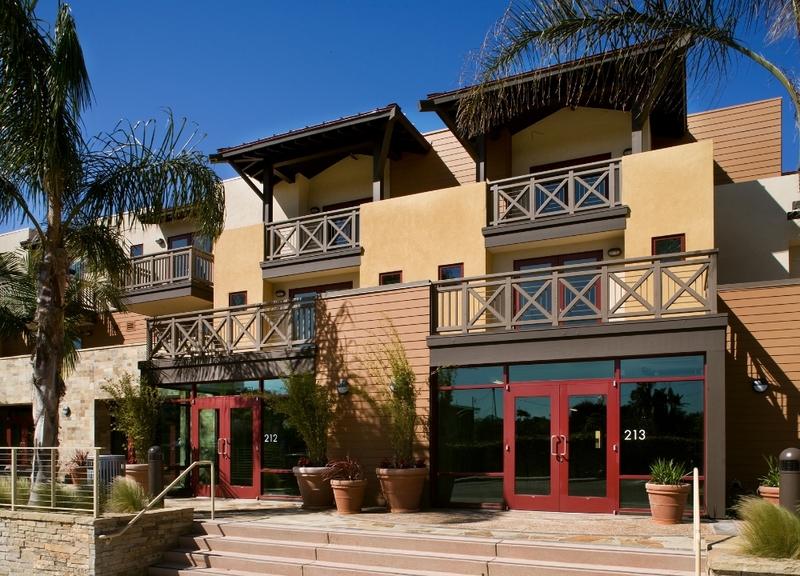 The Lofts at Moonlight Beach a mixed-use, work-live community, were designed with contemporary forms and massing, and finished with the natural materials of stone, wood and stucco found in the local community. 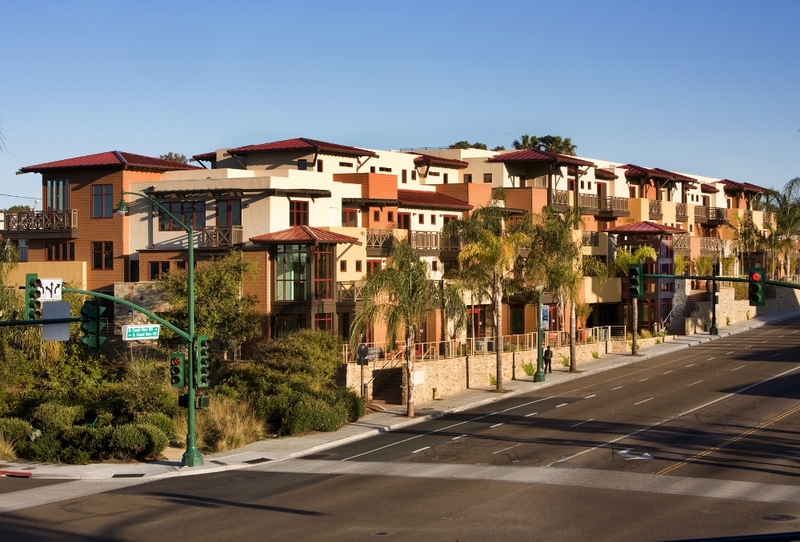 Through the use of creative architecture, we created pedestrian access to the diverse, family-owned village scale shops that open onto plazas finished with natural landscaping, fountains and natural paving materials. 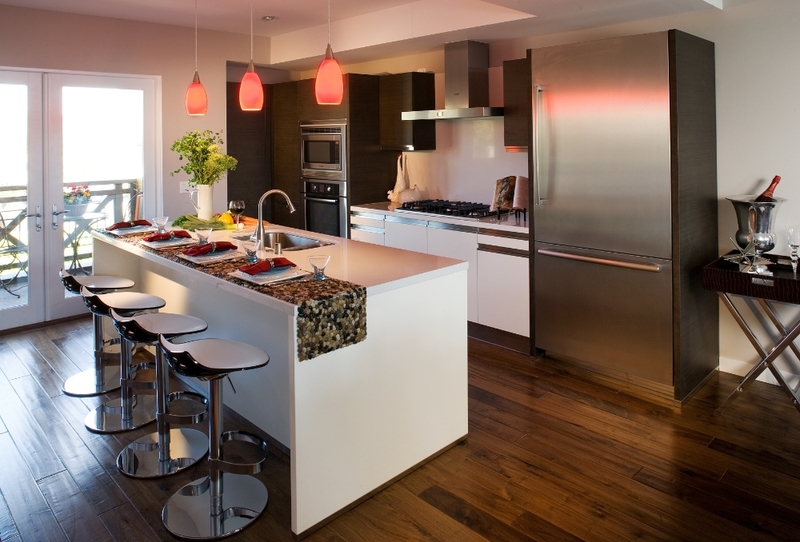 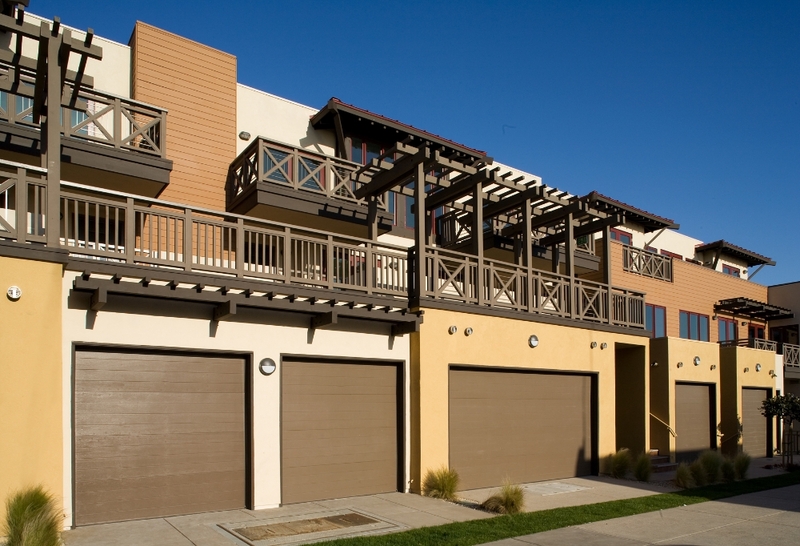 The two-story loft units vary in size from 1,500 - 2,500 square feet, with several of the units offering roof top decks and panoramic ocean views.